When you decided to become a restaurant server, no one handed you a guide on how to be a good server on your first day. In fact, while being a waiter or waitress takes a certain personality and set of skills, you often learn most of it on the job. Here's the thing: learning how to be a good server on the job takes years of practice. And when it comes to making money, you don't have years to practice. You've got bills to pay and we all know that your waiter or waitress salary isn't how you do that, and your restaurant manager has a guest experience to forge. Which is why you turn to tips on how to be a good server. Whether you're a server right now, or you've become a restaurant manager, you'll want to share these server tips and tricks. Write "thank you" on your guests' checks. Assume they'll order a full meal - drinks, appetizers, entrees, and desserts. Pick up multiple drink orders from the bar at once. Settle more than one check at a time. Serve at the customers' pace. Greet everyone that enters the restaurant. Try not to interrupt a conversation. Handle wine glasses by their stems. It's never "I don't know," it's "let me find out". Never remove a plate full of food without asking what went wrong with the order - obviously, something was wrong. Never swear in front of guests. Provide consistent service throughout the meal. Don't let guests double order, or over-order, unintentionally - offer them advice where you can. Do not ignore a table because it is not your table. Don't leave place settings that aren't being used. Try to let guests know if the restaurant is out of something as soon as possible so they don't read it on the menu and want to order it with disappointment. Same goes for the bar stock. If a guest asks to speak to a manager, don't take offense. Learn how to use the restaurant technology, like the restaurant POS, ahead of the dinner rush. Always find a neutral place for the check. 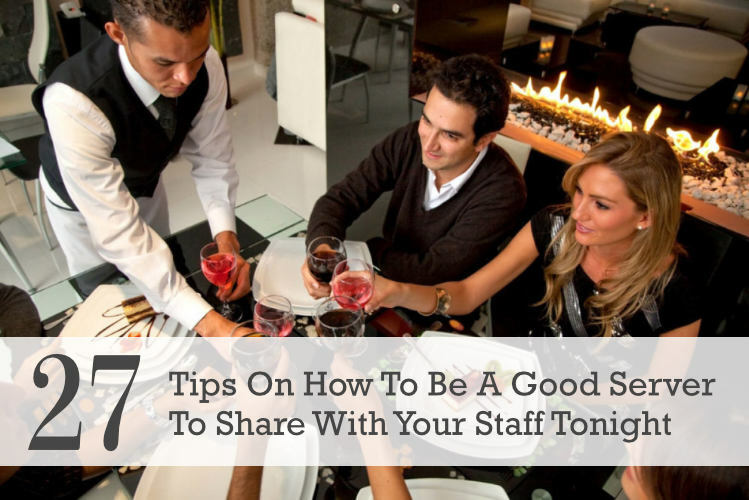 Remember, every guest is a new opportunity to learn how to be a good server. The more you go into each shift with a positive attitude, the more you'll learn and the better you'll become. 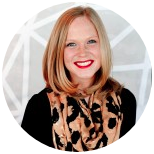 This is a guest feature from Theresa Navarra at Upserve. The company's restaurant management system offers a complete suite of solutions purpose-built for restaurants, including Breadcrumb restaurant POS, restaurant analytics through Upserve HQ; transparent processing with Upserve Payments; mobile restaurant management with Upserve Live, and seamless integration with leading third-party restaurant apps via the Upserve Marketplace.